This picture taken from Rocky Harbour in Gros Morne National Park in Newfoundland Labrador has a beautiful display of colors created from the sunset. The Lobster Cove Lighthouse sits upon the point across from Rocky Harbour in Newfoundland Labrador and watching a sunset from the shoreline is one of the prettiest evening sights. The sky changes into an array of magnificent colors which makes for the ideal opportunity to take a sunset picture or two. 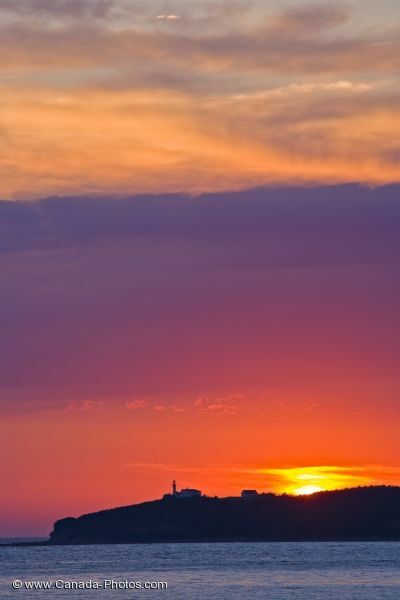 Picture of an amazing sunset over Lobster Cove Lighthouse in Newfoundland Labrador.